Where is the Philippines, and How Are the People? Located in Southeast Asia, the Philippines, officially known as the Republic of the Philippines, is made up of 7,107 islands nestled inside the South China Sea to the west (also known as the West Philippine Sea), the Pacific Ocean on the East, the Sulu Sea on the Southwest and the Celebes Sea to the South. There are three main groups of islands: Luzon, Visayas and Mindanao. All of the islands feature beautiful beaches, palm trees, and wildlife. Some even have hills and mountains. Surrounding countries include Taiwan, China, Vietnam, Indonesia, and the U.S. territory of Guam. To visit the Philippines is a long trip from the United States and Europe. It is about 9,000 miles from New York City to the Philippine capital of Manila, for example, a flight of about 19 to 20 hours. From Los Angeles, it would only be about a 14-15 hour flight, and about the same from London, England. 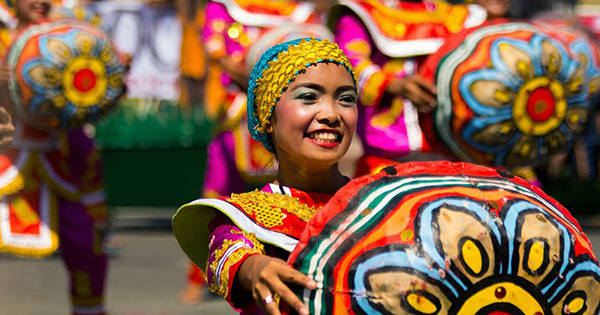 The people of the Philippines represent a mixture of Eastern and Western cultures with strong Spanish and American influences. Although are there are more than 50 dialects being used including Tagalog as the national language, English is well-spoken throughout the islands by many people. The people are known to be very talented when it comes to singing, cooking, and crafting. Even more, Philippines is said by foreigners to have the most beautiful women in all of Asia. The people share many ideals similar to those of people in the U.S., including American movies, music and fast food. They also have cell phones and are avid users of text and instant messaging, as well as social networking and video games. Influence from Spanish culture can mainly be seen in the names of the people, streets, towns and provinces of the Filipinos. This is due to Spanish colonization in the 16th century. Spanish architecture can be seen in buildings, churches and universities. They enjoy native music and dancing. Philippines has high crime rates in certain areas just like any other nation, but most people are well known to be friendly, hospitable and easy going. They are described by many as people who work to live, not live to work, and have strong family values. They are known to welcome visitors to their country, and to invite them into their homes to share a meal. It's common to hear people referring to the Philippines as the friendliest country in the world.